For all loyal wearers of waterproof makeup, Diorshow Pump’N’Volume Waterproof reconciles extreme volume with no-run wear. As with Diorshow Pump’N’Volume, observe more volume on lashes for extreme volume results with spectacular staying power. 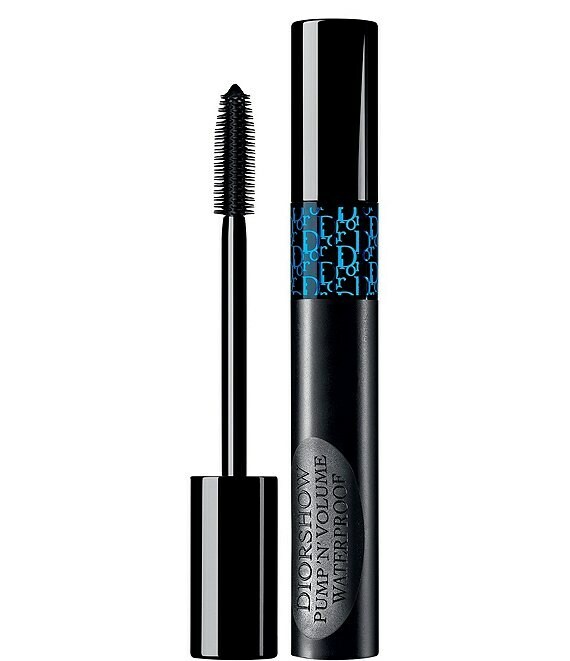 While the decrease in thickness between classic and waterproof mascara can be disappointing, Diorshow Pump’N’Volume Waterproof maintains intense volume with a higher dose of wax than classic Dior waterproof mascaras. 1. Give the flexible tube 2 or 3 squeezes to soften the formula to an ideal fluid texture and to generously load the brush with product. 2. Apply in a zigzag to coat lashes from root to tip and achieve extreme waterproof volume instantly.